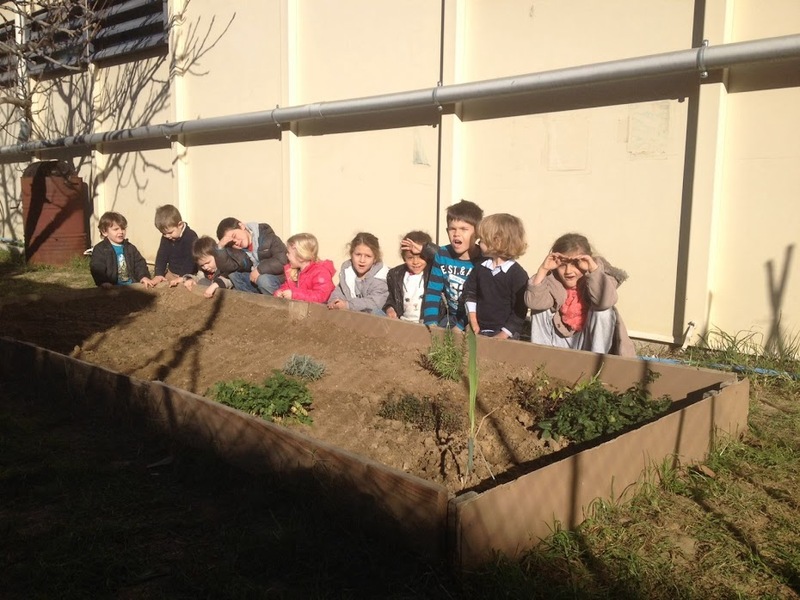 EL NOSTRE HORT: UN DIA PLE DE SORPRESES A L'HORT! REMENEM LA TERRA DE L'HORT AMB ELS FEMS QUE VAM POSAR L'ALTRE DIA! EL CLIMENT I EL JULES HAN TROBAT PATATES MENTRE REMENÀVEM LA TERRA. LA MAYA I EL JULES SEMBRANT LES CARROTES!!! LA TERRA PREPARADA PER PLANTAR!!! PLANTEM ENCIAMS, COLS I COLIFLORS! HEM TROBAT UNS QUANTS CUCS MOLT LLARGS I GROSSOS A LA TERRA!!! TAMBÉ HEM TROBAT UNA CEBA MIG TRENCADA QUE ERA DINS LA TERRA! QUANTS TRESORS!!! LA MALIA I EL MARIO PLANTANT ENCIAMS, COLS I COLIFLORS!! !